GMK Ltd is a leading supplier of firearms and related products into the UK Police, emergency services and MoD. We are part of the specialised Beretta Defence Technologies (BDT) Division whose core value is to be seen as a one-stop solution provider.BDT brands include Beretta Firearms, Sako Sniper Rifles, Benelli Tactical Shotguns, Steiner Optics and Electro-Optics solutions.We are also the exclusive UK distributors for Vista Outdoor Federal/Speer Ammunition including Force on Force Marking rounds, together with Centanex Pyrotechnics, ASP Batons & Handcuffs and PROSpike. Our extensive product range includes well known names such as 3M Peltor Hearing Protection, Bolle Tactical Eyewear plus many other brands. 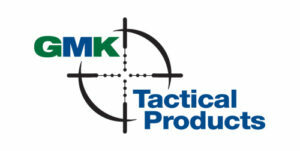 We have a comprehensive product portfolio available to satisfy all your operational and training needs.The list of products GMK offers, in support of our core ammunition and firearms ranges, demonstrates our prowess in attracting high-quality international companies who wish us to include their brands.